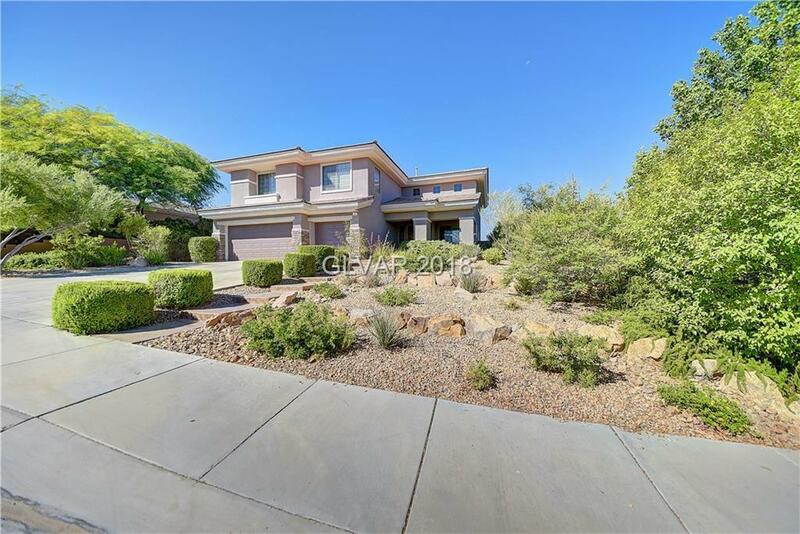 Two-story home on single-story lot: 21 ft setbacks on side yards, view fencing to arroyo, large pool surrounded crushed seashell tile decking. Neutral Colors, brand new carpet upstairs, formal living/dining rooms, kitchen nook, family room, 5 bedrooms, 4 baths and room off master. Newly remodeled kitchen with white cabinets, venetian gold granite and brand-new stainless-steel GE Profile Appliances. Freshly painted outside home. Directions: From 215, S On Eastern Veer L To Anthem Pkwy. After Gate, Left On Anthem Club Dr, Left On Contra Costa (Auburn Which Is 6th Neighborhood On Left). House Will Be On Left.